The F-16N Viper is a US Navy version of the Air Force F-16 Fighting Falcon. The Viper was built in small numbers specifically for the Navy to serve in the "Aggressor" role in combat training. 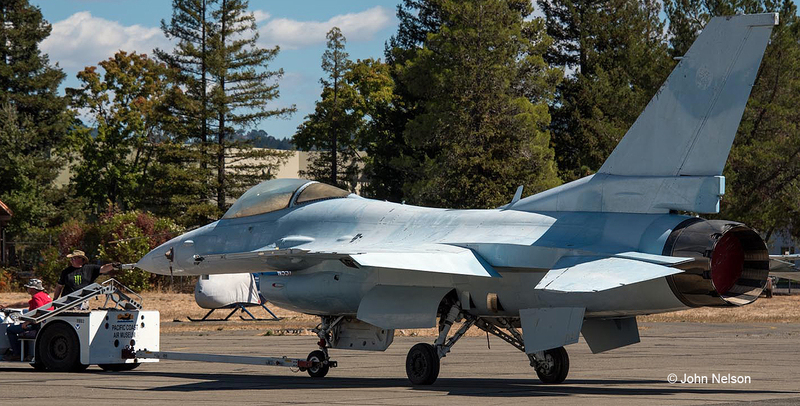 This particular F-16N served with the Navy at NAS Miramar (Fighter Weapons School). We acquired her in 1994. 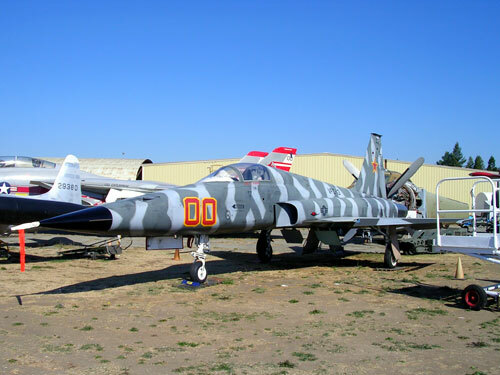 She was used as an “Aggressor” aircraft to mimic the MiG-29 because the performance of the two planes is very similar. The F-16 series of aircraft was the first to use “Fly By Wire” technology where the aircraft was controlled by a computer which responded to the pilot’s commands. Designed in the early 1970s and first deployed in 1978, the F-16 has continually evolved and is still a potent combat plane. It will continue to equip many front-line combat squadrons for years to come. 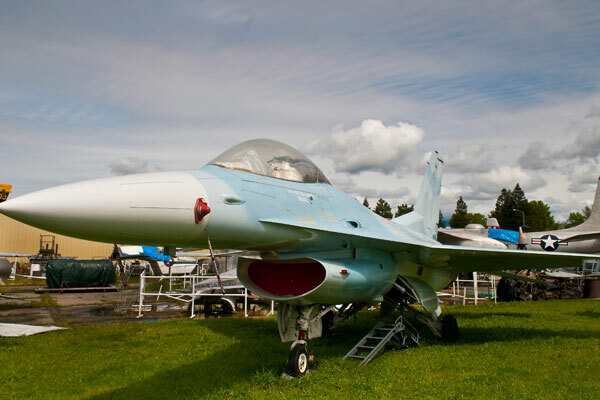 Although an Air Force jet, the Pacific Coast Air Museum’s F-16N is the Navy version of the famous and well used “hot rod” of the Air Forces of the NATO countries, the F-16 Fighting Falcon. The F-16N was developed as a “chase plane” and used in an aggressor role at Top Gun, Mirimar California, where it would play the role of the “bad guy” in air combat maneuvers (ACM) and training. The F-16 closely resembles the performance of the Warsaw Pact countries’ Mig-29, and so the F-16N was painted in Warsaw Pact colors. Top Gun at Miramar was closing down due to budget cuts, and moving the operation to Fallon, Nevada. The Navy wanted to get rid of its only 22 F-16N’s and replace the aggressor role with the F-18 Hornet. Five F-16Ns were assigned to museums. 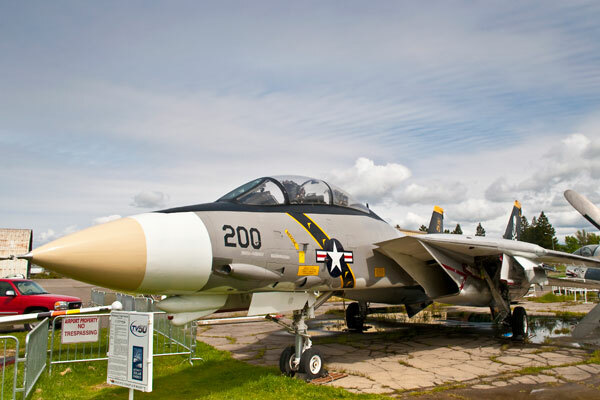 We are extremely fortunate to have obtained this aircraft, which joined our museum in January 1995. 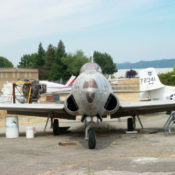 The Pacific Coast Air Museum has an excellent reputation with the armed forces, especially the Navy, and was given the opportunity to acquire this aircraft. 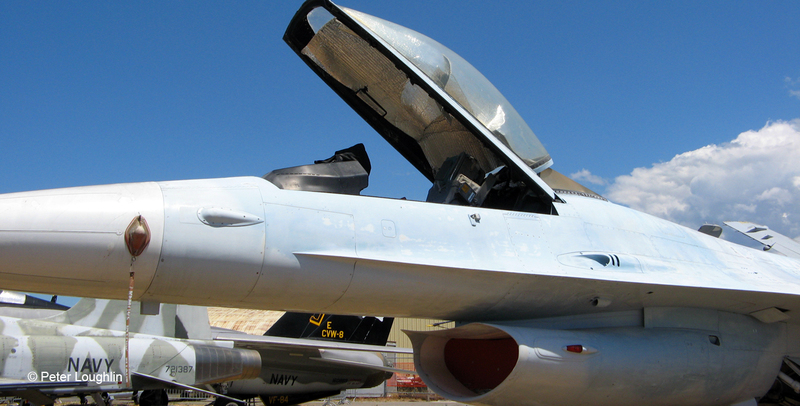 Currently we are one of only three civilian museums in the world to have an F-16N Viper. 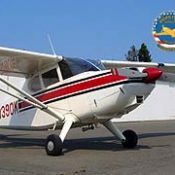 Because it needed such a long runway, it was not allowed to land at Sonoma County airport. 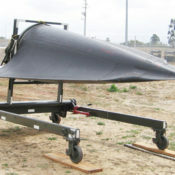 It was dismantled at Miramar and trucked to Sonoma County, where Pacific Coast Air Museum members reassembled it. It was the highlight of its first display day, with many people getting the only chance anywhere to sit in an F-16. Our “hot rod” will be a popular exhibit for years to come. One: Pilot seated on a Douglas ACES II ejector seat. Combat radius greater than 575 miles (925 km), or more than 2,145 miles (3,890 km) for ferrying with internal and external fuel. 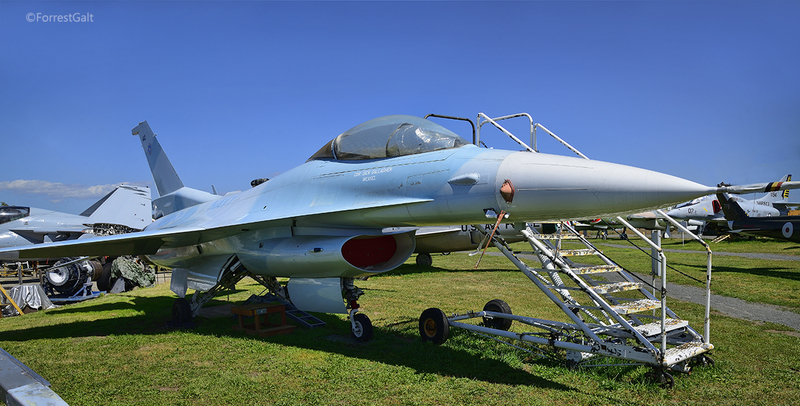 This armament is typical for F-16 C. The F-16 N, when flying training missions against friendly aircraft, might carry inert or “dummy” ordnance but not live ordnance. Disposable: Various combinations of air-to-air missiles, air-to-ground missiles, rockets, guided bombs, unguided bombs, nuclear bombs, flares, mines, drop tanks, and electronics pods. Communication and navigation equipment, plus Westinghouse AN/APG-66 pulse-Doppler range and angle track radar (with look-down and look-up ranges of 56km (35 miles) and 74km (46 miles) respectively), Dalmo Victor AN/ALR radar-warning receiver, Sperry central air-data computer, SingerKearfott SKN-2400 (modified) inertial navigation system, Marconi heads-up display, Kaiser radar electrooptional display, Delco fire-control computer, Westinghouse ANI ALQ-1 19 and AN/ALQ-131 ECM pods and other electronic countermeasures equipment.